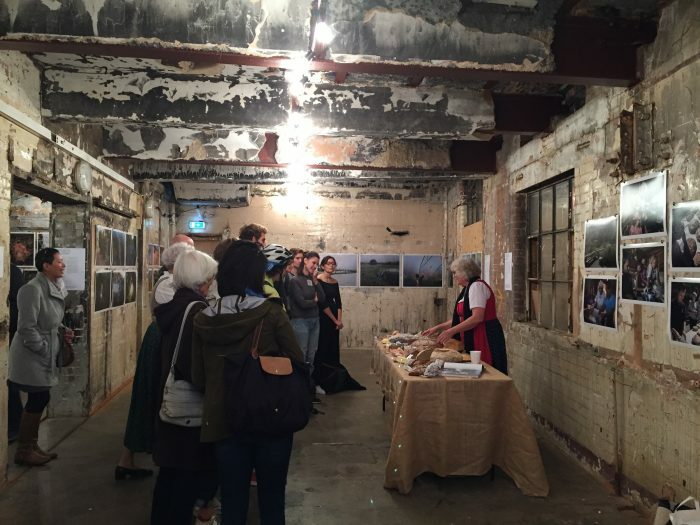 During the London launch of We Feed the World, many of the farmers and photographers involved in the project came to lend their support, share their stories and celebrate their work together. 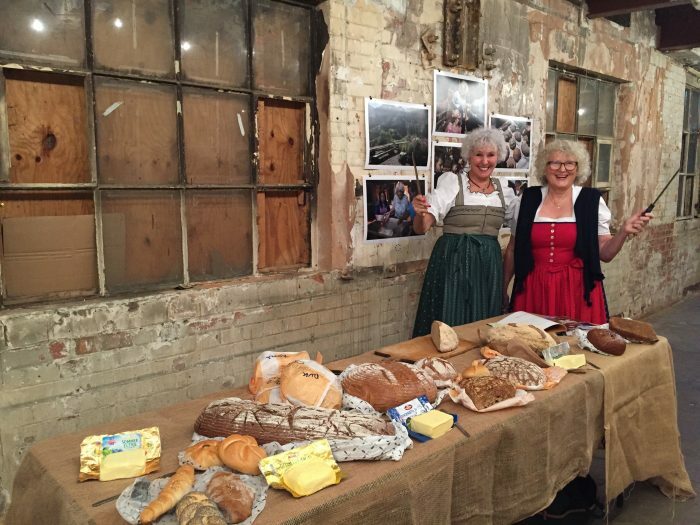 With bags bursting full of wholemeal, rye and sourdough breads, Austrian farmer and baker, Roswitha Huber, stood in front of her portrait to share her passion for bread. Wearing traditional dress, Roswitha set up a display that stretched almost the length of the room, attracting dozens of curious passers-by, enticing them in to try her most prized possessions. Each loaf quickly disappeared as Roswitha passed them around, sharing her bountiful knowledge of bread making. At her 400 year old home in the Austrian Alps, Roswitha passes on her love of good, simple food by teaching others how to bake bread, particularly traditional sourdough. Roswitha’s ‘school in the mountains’ is part of an incredible exchange programme with farmers from Bhutan, who, despite living nearly seven thousand miles away, grow their produce in a very similar climate and landscape. Like Roswitha, they work on small-scale farms which produce grains and are looking for extra avenues of income by processing a variety of produce.